In honour of the late Rosie & Jim and Postman Pat creator we are offering a 15% discount for any customers named Rosie or Jim, and postal workers named Pat, who book with us before 31st December 2018! John Cunliffe, best known for creating Postman Pat and Rosie and Jim, sadly passed away in September 2018. The author created roughly 190 books for young children, but it was his famous creations of Pat and his black and white cat, and Rosie and Jim, that he will be best known for. 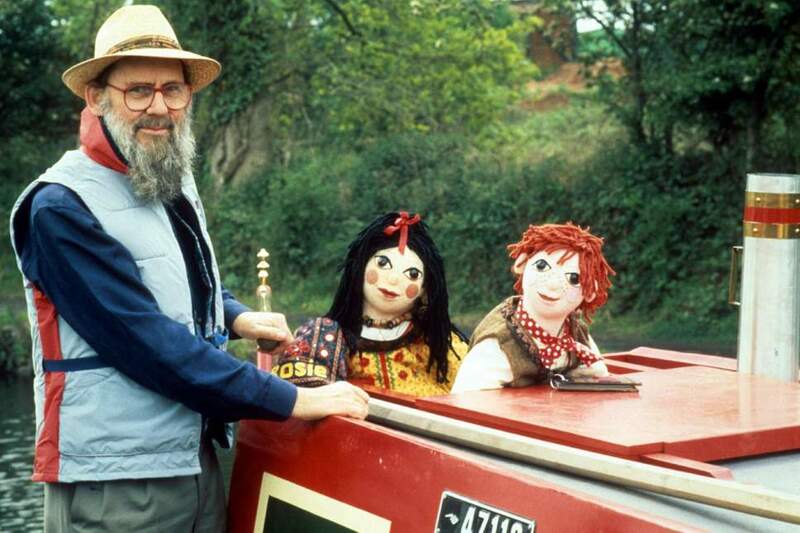 Cunliffe’s portrayal of Rosie and Jim’s adventures on their barge will have been for many Brits their first exposure to canal journeys, which is why we are choosing to honour the iconic creator who passed away this year. The limited time offer is valid for early-bird bookers looking to book a canal holiday for the 2019 season, which commences in March next year. The offer is valid across all Black Prince destinations and vessels, including the fittingly named Rosie boat, which is based in Chirk. Cunliffe first created the beloved Postman Pat in 1981, and the series’ original run lasted a massive 196 episodes, with a revival following in 2003. There was also a film version in 2014 starring the voice of Stephen Mangan. For many years, Cunliffe lived in the Lake District, which served as his inspiration for Greendale. He later created the loveable rag dolls, Rosie and Jim, who lived on a barge called the Old Ragdoll. The TV show aired during the 90s, and Cunliffe himself starred as the narrowboat’s first driver. Cunliffe’s other accomplishments include work on the Magic Roundabout, The Wombles, Paddington Bear, and The Herbs. Of his death, it was said that “even the skies wept for John” as he “left his Ilkley home in a deluge of rain on Thursday, September 20, never to return”. Black Prince are offering this exclusive discount for customers who book a 2019 break before 31st December 2018. Please book by telephone on (0044) 01527 575115, quoting offer code ROSIE2019. The offer is also valid for customers named James, Patrick and Patricia – and variant spellings of Rosie, Jim and Pat. Save 15% on all holidays across the 2019 season if your name is Rosie, Jim or Pat (or close variations of). This offer cannot be combined with any other offer and is subject to availability. The lead bookers name must be Rosie, Jim or Pat (or close variations of), proof of identity such as a driving license may be required. This offer will close December 31st, 2018. This offer can only be redeemed over the telephone – call 01527 575115 to book quoting ROSIE2019.